Mark Knight’s music roots are in rap and funk until 1988. This is the year Mark Knight’s love for electronic music begins after he goes to Ibiza and isn’t the same anymore. Fast forward, today with over a decade in the electronic music industry Mark Knight has a successful career as a DJ & Producer (#2 selling artist on Beatport for all time, Grammy nominated), he is the founder of the critically acclaimed Toolroom Records, including also the Toolroom Radio show, Toolroom Knights parties, and Toolroom Academy educational workshop. This year Mark is setting on a new journey called the ‘All Night Long Tour’. This tour will see Mark Knight play the world’s premier clubs and music venues for an extended 6 + hour marathon DJ set. The first stop of his DJ tour spanning across 3 continents is Copenhagen’s best underground music club – Culture Box. Mark, what has defined your sound over the years? My own love for what I do really, I think that is the most important thing. Making music has to really come from the heart, you shouldn’t do it to fill a criteria or follow a trend. Your sound can of course evolve and adapt, but I think extensively it has to come from the heart. You have to make music which you are proud of, not make music because others are doing it. I love making this kind of music and I am going to continue to do so, because this is what inspires me. That is what defines my sound. There is an active debate that more clubs and festivals should offer longer time-slots to DJs in order for them to showcase their true skills and take the crowd on a musical journey. You are now embarking on your ‘All Night Long’ tour, where you will play extended 6 + hours sets. What was the main reason and inspiration behind your decision for this tour? By now people know what I do, but there is more to what I do then the 2/3 hours DJ sets. There is so much music that I love across various tempos and styles, that I don’t necessarily have the opportunity to always play and portray in my sets. Across my career I have made different types of electronic music, but all followed the same feel for it and I’ve always done that, because I wanted to have enough music that I’ve made myself to be able to play right across the board on longer sets. I think I am at the right point of my career where I can say to people, hey you know me for this, but I love all this as well, so come with me on one of those nights and be part of all of what Mark Knight’s about musically. We have really taken the time and considered the right clubs to do it in, because these kind of sets do not happen everywhere, there are only a certain amount of clubs in the world that give you the opportunity to do that. And I am excited to go out and do it! Do you consider yourself on a mission to spread more awareness in the clubbing world about all night long / extended DJ sets? You cannot do extended sets every week, but if you can pick and choose the right time to do it then that can become a very special thing. We hope more and more clubs become open to giving the stage to DJs for extended sets, because there are very few clubs or festivals, who do that nowadays. I hope so too. I think it really separates to a degree real DJs from people, who show up and become jukebox really and play 20 big records one after another. But can you play 120 nowadays? There are not that many DJs today that can do that and tell that story in the right way and I think we are at a point now within dance music, where people are putting their hands and saying, look I like more than just the big records and I very much would like to be part of that. Mark Knight, how to play a marathon DJ set? What is your approach to it, and what are your key takeaways and advices to other DJs when preparing for a marathon set? I think it’s all about the preparation. The way I approach it is by putting things into different hours. I collect a playlist that will work early on, and then progress with the tempo shifting slightly and then again until you reach your peek time part of your set. And then I create playlist that can wind down from that to something quite emphatic towards the edge, that really tells a story and has a proper beginning middle and end. By creating playlists for different times of the night, I might not necessarily know which records are gonna work one after another, but I know all of those records are gonna work. And that is the tone and mood I want to set and create at the various times of the night. So I structure my playlists accordingly. It is also important to know which records will go well together for the different periods of the night, because ultimately the whole set has to feel seamless. The entire night should feel like a very natural flow and the link records are key in the way you shift and move between styles. And what is the longest marathon set you’ve played? The longest set I’ve played was 14 hours in Space, Miami. In a recent interview with Red Bull you say that picking the right venue can make a marathon set very special. What traits were you looking for in the venues for your ‘All Night Long’ tour and why did you select exactly them? I think all the clubs we’ve selected are music venues, where people go because they are passionate about music. These clubs are synonymous with music first and foremost. A cross section of interesting, cutting edge and progressive music. They are not vip clubs, they are places where people go because they are driven by music, and music alone and that is why we’ve chosen them. What was the inspiration behind making ‘Odyssey’ the art of DJing all night long documentary? I really feel that DJing in its purest form is an art-form. It’s certainly not being a jukebox, it’s about being able to tell a musical story over a very long period of time and engage with the people, and never loose their attention throughout your set. And in Odyssey the movie I wanted to talk to people that I really respect and admire, about their take on all night long sets. Give them a forum to talk about the skill of being a DJ and put it all together in one film. In the ‘Odyssey’ documentary, you mention that after a doing a show for 14 hours in Miami you were just drained in every aspect, but after all you feel so creatively inspired after these shows. Can you point out a marathon set after which you felt inspired and what did you create as a result of it? All of them, really! Because when you are playing headline shows you are obliged to come in and do something very high impacted, high energy, as this is what the people want and what you are being paid to do. But with all night long shows you have the opportunity to be more diverse. You get to play records you haven’t played long time or that often – I love that. You are just invigorated and inspired by the whole experience and that happens every time, it’s not just after one show. If you have to do a DJ set for 10 hours, that’s when you have a really special connection with an audience, something that doesn’t happen every weekend. Plus you can push the boundaries even further and it can actually make you grow and expand as an artist. Those magical marathon sets are things that really inspire me personally. You are a globetrotting DJ playing all across the globe. How do you cope with the traveling schedule for so many years and why did you decide to do less shows this year? Because I have a family, I actually only work two weekends a month now. It is about two parts of your life: as much as I love DJing, my life is far more than just being on the road. It is about picking all the right clubs that I love and the clubs that inspire and excite me, and those are the only shows I am doing this year. The fact that I am doing two weekends a month is a lot more bearable and it is incredible demanding to be on the road all the time. What is your advice for other DJs, especially upcoming ones on how to cope with it? I think if you absolutely love what you do that is a bi-product to what you have to do. If you are driven and you want to be successful, that’s just part of it. It’s not easy, but if you want to get to the top, if you want it bad enough that wouldn’t be an issue. You just get on with it. Simple as that, I believe. With a career spanning more than a decade in the electronic music industry, dozens of clubbing classics, grammy nominated, the successful Toolroom Records label, Toolroom Radio show, the Toolroom events and the Toolroom academy, you have created nothing short of a legacy and left your permanent mark on dance music. What keeps you going and on top of your game after so many years? Just because I still have a few more things I want to achieve. And like you say, it’s about creating a legacy so when your time finishes up then you can walk away and say well that is what I have given dance music and that will always be there throughout history. That’s what motivates me to never let things wane. What are your memories from your last gig in Culture Box and how was the party for you back then? The hype for your upcoming gig is huge! What are your expectations about the show and what do you want to say to your fans in Denmark ahead of your ‘All Night Long’ DJ set here? It was such a long time ago! Of all the gigs I’ve done in Denmark I honestly can’t remember having a bad gig. I just wish I could have the opportunity to play there more often. But I am really looking forward to coming back to Denmark and playing in Culture Box. I have a few musical secrets up my sleeve and I will be letting them loose! So if you love great music come and we will certainly have a great night. 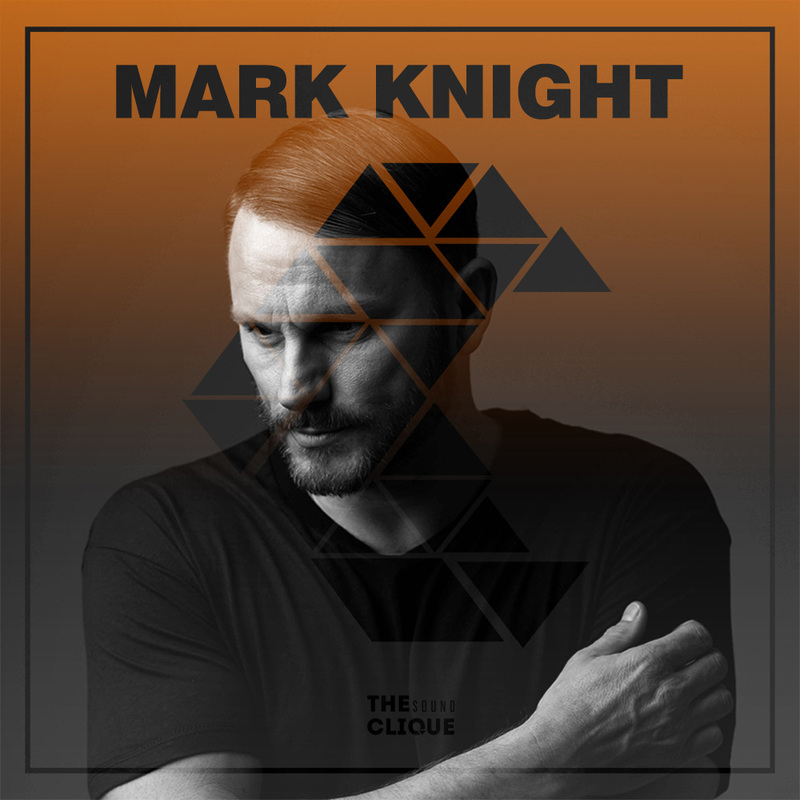 Connect with Mark Knight on Facebook and SoundCloud.